While on vacation, we stopped by our favorite Outer Banks independent bookstore, Downtown Books. Located on Sir Walter Raleigh Street in Manteo, this store offers a wide selection of books, greeting cards, journals, toys and more. After reading their website, I discovered they also have a selection of pre-read (used) books. Must have missed that, because I sure would have browsed that section. 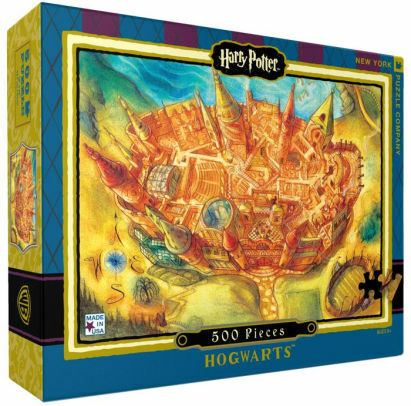 In addition to this awesome Hogwarts puzzle that we worked on at the beach house, I picked up some Outer Banks fiction. I love reading books set in places I visit. How about you? Well, I did it. I finished the Harry Potter series last month. It was tough to see it end because I had spent the past several months listening to the books in my car as I drove back and forth from appointments. Music just isn’t cutting it for me anymore. I purposefully held off on reviewing each book as I read it because there isn’t much new that can be said. Even if there was, almost everyone has heard of or read this wildly popular series, so it seemed superfluous. What I will do, however, is share my thoughts on what I liked about each book and if there is anything that niggled at me. 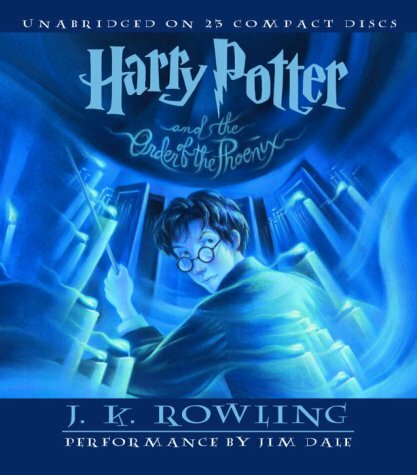 Harry Potter and the Sorcerer’s Stone sets the stage for all that will follow. We meet many of the important characters who will remain throughout the series or will perish in the war against Lord Voldemort. By making Harry a sympathetic character from the start, J.K. Rowling gave readers someone to care about. He lost his parents; he’s being mistreated by his relatives; once he gets to Hogwarts where he is wildly famous and his life should improve, he struggles with his lack of magical knowledge and is despised by Draco Malfoy and seen as a younger version of his arrogant father by Professor Snape. 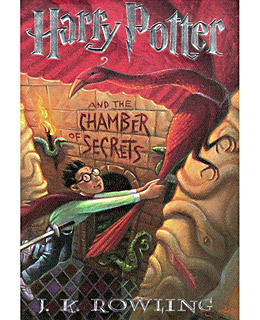 In Harry Potter and the Chamber of Secrets a diary is discovered that ends up being part of the plot through to the final book of the series and is crucial in Lord Voldemort’s defeat. This indicates Rowling may have done serious pre-plotting before putting pen to paper. As the story unfolds, Ginny Weasley becomes more of a sympathetic character than Harry because she is fooled by Tom Riddle (Voldemort) and possessed, putting Harry and the others at risk. We also see a very important plot point begin to develop: the hatred of Voldemort and his followers for half-bloods and Muggles. When it comes to Harry Potter and the Prisoner of Azkaban, we meet another new character. As the story comes closer to the end, we hope that Harry will have just a tiny bit of happiness and not have to endure another summer with his Muggle relatives who mistreat him. 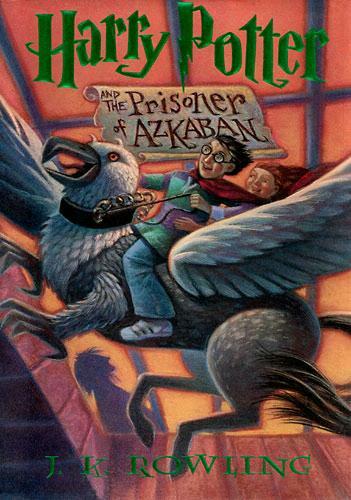 There is a definite theme of salvation running through the third book: the possible saving of Harry from the Dursleys, the saving of Sirius Black from the Dementor’s kiss, the saving of BuckBeak who has been sentenced to death, and in some ways Hermoine being saved from overworking herself in an effort to be the best at everything. 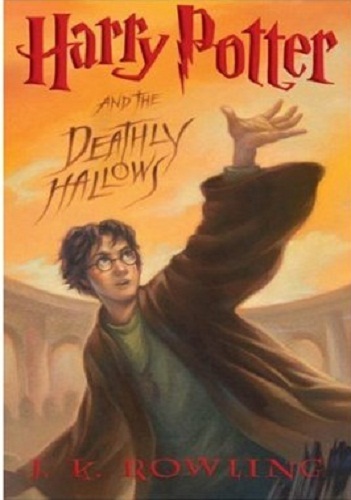 This book also reveals who truly betrayed James and Lily Potter, leading to their deaths. Some of these books don’t actually begin with Harry. Book four, Harry Potter and the Goblet of Fire, is one of them. It’s a nice change of pace and indicates how Rowling worked to keep the series fresh and engaging for readers. We haven’t said much about Quidditch yet, but that is the game Harry has a natural talent for (discovered in Book 1), so this helps to balance that his magic might not be up to par with that of other students. Rowling uses the Quidditch World Cup to introduce another important character: Cedric Diggory. Cedric will end up competing in the Triwizard Tournament, which hasn’t been held for over 200 years. This brings students and staff from other schools to Hogwarts. This is the book were Lord Voldemort is resurrected by Harry’s blood and what truly begins the war in earnest because the current Minister of Magic, Cornelius Fudge does not believe Harry and Professor Dumbledore (Hogwarts Headmaster) that Voldemort has returned. Parents, students, and the wizarding community must choose who and what to believe. 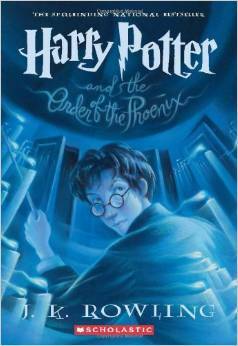 How many people loved Harry Potter and the Order of the Phoenix but despised it at the same time? I know it brought out that reaction in me. So much injustice takes place in this novel at the hands of Dolores Umbridge and the Ministry of Magic that at times it was hard not to scream or throw something against the wall. And for anyone who thought that Harry and Sirius would end up finding a nice cottage to live out their days once this whole war was over, they were dealt a crushing blow thanks to Bellatrix Lestrange. 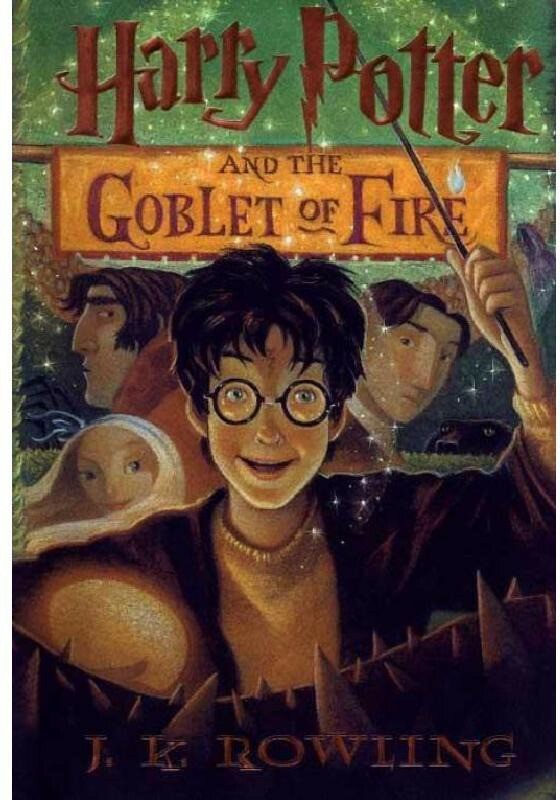 This is also the book where Dumbledore explains the prophecy to Harry that has brought him to Hogwarts and will eventually lead to his final showdown with Lord Voldemort. In certain books, we learn more about other characters than Harry. That is true in books six and seven, where the history of Dumbledore and Tom Riddle a.k.a. Lord Voldemort unfolds. Book 6 is also one that doesn’t begin with Harry. Instead, the reader sees Professor Snape in a meeting with Narcissa Malfoy, where he takes an unbreakable vow to protect and assist Draco in the mission Lord Voldemort has entrusted to him. 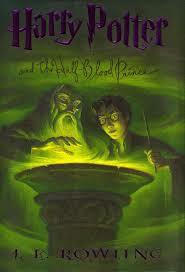 Harry Potter and the Half-Blood Prince also finds Harry given a mission of his own that will unfold in the final book. It is in this book that we learn how important the diary Ginny Weasley found in the third book is to Voldemort and his plan for immortality. Then in Harry Potter and the Deathly Hallows best friends Harry, Hermoine, and Ron risk everything to bring down Voldemort. In order to do that, they set out on their own, learn more about Dumbledore’s past, infiltrate the Ministry of Magic, are captured and held prisoner at Malfoy Manor, secretly enter Hogwarts, and witness tragedy strike Snape who had been installed by Voldemort as the Headmaster at Hogwarts. It isn’t until Snape shares his memories with Harry that he truly understands what fulfilling his destiny means. What I enjoyed most about these books is how they blended everyday things like relationship issues, coping with tragedy, love, family and friendship while exploring a magical world. These books also tackled controversial topics like prejudice. I loved how with each book Rowling upped the ante, so you had intense moments throughout each book, but the series as a whole slowly built up the dramatic face off between Harry and Voldemort. I don’t believe I am alone, however, in being a bit let down by the epilogue. I am okay with vagueness, but I felt too much time had passed. There is also the matter of Draco and Harry. While I don’t believe they would ever be friends, I wanted to see a little bit more about how their relationship evolved after the Dark Lord’s defeat. Have you read the Harry Potter series? What were some of your favorite parts? Is there anything you didn’t care for? Every once in a while, I get to thinking about my favorite television or movie adaptations of books. 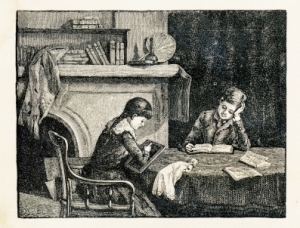 Anne of Green Gables, Little House on the Prairie, The Chronicles of Narnia, Little Women, and Matilda come to mind. For this generation, perhaps it is The Maze Runner, The Hunger Games, Divergent, and Harry Potter. But whatever books we are talking about, when a popular book or book series is made into a movie(s), controversy surrounds it. Which characters did they change? What characters did they leave out? How much did they alter the story for film? I remember the Lil’ Diva complaining for days because a certain character, and therefore, her favorite scene, were cut from Divergent. Gasp! How dare they? What are some of your favorite television and movie adaptations? 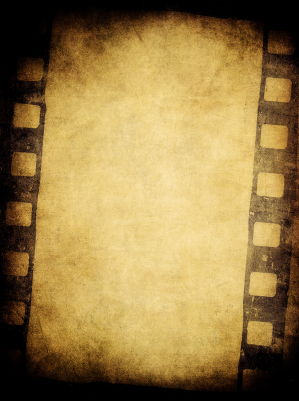 Were you ever irked in how they changed it for film? Joining us today is Andrew Cole, author of the science fiction e-book Flight of the Lazarus. Thank you for joining us today, Andrew. Can you please start off by telling us a bit about yourself? I’m a huge science fiction fan from Lexington, Ky. Growing up on a steady diet of Saturday morning cartoons, books, comic books, anime, movies, and video games I developed a well rounded imagination. I’m also an army veteran and I was stationed at Ft. Bragg as an airborne special operations soldier. I love music and I have to have it playing in my headphones while writing. While anything beat oriented will do, I prefer industrial rock. Fave band is Nine Inch Nails. In 2004, I had a dream so vivid that it couldn’t be ignored. The story of Captain Taylor came from that dream. To date, the story is over two trilogies large and will ultimately span over ten books or more to tell the story of what was created in that one dream. Fantasy taps into the imagination. Younger people tend to be more imaginative, so here I am. I’m just having fun as this epic unfolds one book after another. You have to keep the stories fresh. Readers can smell a bad plot a mile away. When Captain Taylor of the Starship Lazarus discovers the missing link of an alien war machine hiding on his freighter, he and his crew of misfits, orphans, and robots must discover its secret before a terrible evil is unleashed not only on Earth, but on all other sentient life in the universe! The story of Captain Taylor and his crew is a modern sci-fi telling of Joseph Campbell’s heroes journey. People would recognize this epic story arc as it appeared in Lord of the Rings, Star Wars, The Matrix, and Harry Potter. If you enjoyed the range and arc of those stories; the unlikely hero, the companions to help along the way, a love story, marvels to spark the imagination, and complex villains, you’re going to fall for the action packed ride that’s found not only in the Captain Taylor Trilogy, but the continuation of the story The War for Tomorrow Trilogy. But Flight of the Lazarus is just the tip of the iceberg. Just as Fellowship of the Rings was the start of Frodo’s journey and The Sorcerer’s Stone was the first step for Harry Potter, Book 1 of the Captain Taylor Trilogy starts the next unlikely hero, his friends, and the reader on the adventure of a lifetime. A dream. A vivid and wonderful dream that continues to reveal itself one episode at a time. You can download a free sample or the whole e-book for your Kindle, Ipad, Iphone, or PC at Amazon.com. I have a blog at andrewjcole.blogspot.com. Three more books in the “Captain Taylor Saga” and a few other projects are on the way. Stay Tuned! Both The Captain Taylor Trilogy and The War for Tomorrow trilogy are available on Amazon.com! No waiting! 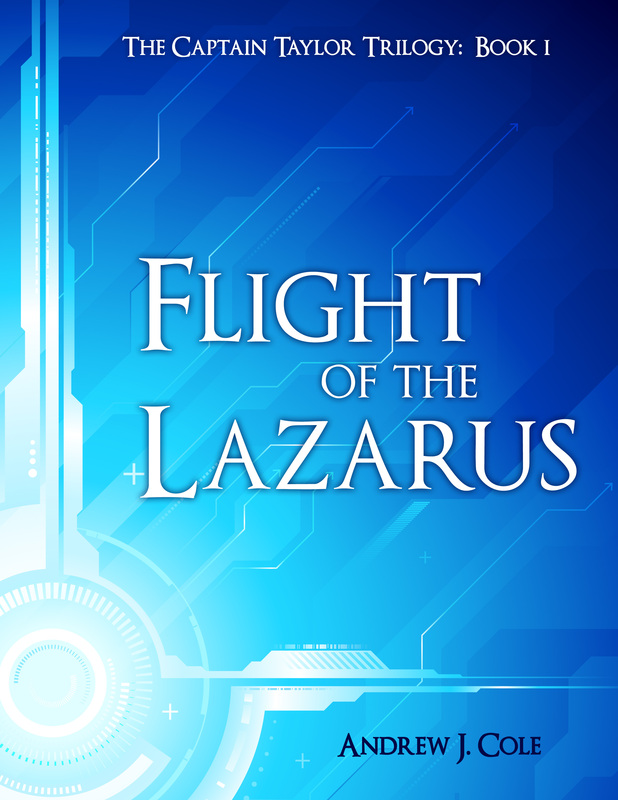 Flight of the Lazarus is available for only 99 cents and the rest of the books are for sale for only 2.99 each! That’s like two thousand pages of awesome for less than sixteen dollars! A better deal does not exist. Try the first one fro a buck and I’m confident you’ll be back for the rest! Happy Reading! Oh, if you’re sick to death of vampires, you now have an alternative. Thanks for spending time with us today, Andrew. We wish you great success. Thank you for making time for me. I hope others will enjoy reading this epic as much as I love creating it!